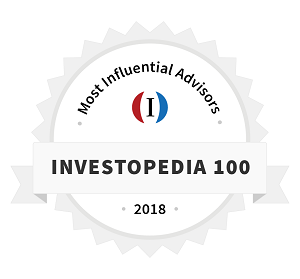 The information provided here is for general informational purposes only and should not be considered an individualized recommendation or personalized investment advice. We believe the information obtained from third-party sources to be reliable, but Bourbon Financial Management, LLC does not guarantee its accuracy or completeness. Examples provided are for illustrative purposes only and not intended to be reflective of results you should expect to attain. Past performance is no guarantee of future results. Patrick Bourbon is the founder of BFM, a Registered Investment Adviser. All materials contained in this web site are protected by United States copyright law and may not be reproduced, distributed, transmitted, displayed, published, or broadcast without the prior written permission of BFM. You may not alter or remove any trademark, copyright or other notice from copies of the content. "BFM," “Bourbon Financial Management,” "Excellence. Expertise. Ethics." and their respective logos are trademarks of BFM. Additionally, the names of other products and services referred to on the site may be the trademarks or service marks of their respective owners. You may not use any trademark or service mark appearing on this web site without prior written consent of the owner. By providing BFM with your mailing address, telephone number or email address, you agree that BFM may contact you from time to time in connection with your use of this website or BFM's products or services. We are reaching out to you as a valued contact of BFM in light of the European Union (EU) General Data Protection Regulation (GDPR) taking effect on May 25. Your privacy is of the utmost importance to us at BFM. As you may know, the GDPR applies to all companies that collect and/or process personal data of citizens of the European Economic Area. In line with BFM’ longstanding commitment to securing our customers’ most confidential information, we have developed a comprehensive GDPR compliance program and are extending its privacy protections to all of our customers globally. So, as always, you can rest assured that we process your personal information in a transparent and secure way and in accordance with best industry practices. If you’d like to customize or discontinue the content you receive from BFM, please take a moment to update your email preferences at the bottom of this email. The GDPR is designed to protect personal data, and addresses how organizations approach the privacy and protection of personal information. It is is a new framework for data protection in the EU designed to give greater protection and rights to individuals on the processing of their personal information. You will continue to receive emails from us and we hope that you find our communications of interest, and we appreciate the ability to share thought leadership, and relevant information. Should you no longer wish to receive communications from us, you may opt out at any time (including via the link at the bottom of this email) and we will stop sending you these communications. We have also updated our privacy notices below. Bourbon Financial Management, LLC and its affiliates (collectively, "BFM," "we," "us," or "our") are committed to protecting the privacy of all individuals who utilize our site or legal services. Bourbon Financial Management, LLC is the data controller of the personal data collected, and is responsible for the processing of your personal data. The privacy notice (the "Notice") explains how we collect, use and safeguard the information you may provide to us via this website and other domains owned and operated by Bourbon Financial Management, LLC. The Notice also informs you about your privacy rights and how the law protects you. Certain other Bourbon Financial Management, LLC websites (e.g., client extranets) may be operated under separate agreements having additional terms and conditions. It is important that you read this Notice together with any other notice we may provide on specific occasions when we are collecting or processing personal data about you so that you are fully aware of how and why we are using your data. This Notice supplements the other notices and is not intended to override them. In the event of a conflict between this Notice and another notice which applies to a specific site or engagement (i.e., a client extranet), the latter shall prevail over this Notice to the extent of the conflict. Please note, if you reply to one of our marketing emails or otherwise send a communication to us, such communication does not create an attorney-client relationship with us. As such, please do not send any information that you consider confidential unless and until we have agreed in writing to represent you with respect to such matter. Any information provided to us prior to such agreement may not be protectable from disclosure and may not be subject to attorney-client privilege. Please review the following to understand how we process and safeguard personal data about you. By using our website or otherwise obtaining services from us, and/or by voluntarily providing personal data to us, you acknowledge that you have read and understand the practices contained in this Privacy Notice. This Notice may be revised from time to time, so please ensure that you check this Notice periodically to remain fully informed. automatically through logging and analytics tools, cookies, and as a result of your use of and access to the website. For more information, please see our Cookie Notice. We utilize commonly-used logging and analytics tools, including Google Analytics, to collect information about your device, the network used to access the website, and information about your use of the website (such as how you navigate and move around the website). You have choices about certain information we collect. When you are asked to provide information, you may decline to do so; but if you choose not to provide information that is necessary for us to collect by law or to perform a contract, we may not be able to enter into or perform such contract or perform other obligations with respect to you. In addition, as noted below in the section captioned "Your Choices" it is possible to change your browser settings to block the automatic collection of certain information. We also collect data that is not identifiable to you or otherwise associated with you, such as aggregated data, and is not personal data. To the extent this data is stored or associated with personal data, it will be treated as personal data; otherwise, that data is not subject to this notice. In the event that you provide us with information about another person, you must ensure that you have the right to provide that information and, as appropriate, that they understand how their information will be used by us. in connection with the exercise or defense of our legal rights, as well as in response to court orders. in certain circumstances, based on your express consent. Because security is important to both Bourbon Financial Management, LLC and you, we employ reasonable and appropriate physical, technical, and organizational safeguards designed to promote the security of our systems and protect the confidentiality, integrity, availability, and resilience of personal data. If you suspect unauthorized access to your information, you should contact Bourbon Financial Management, LLC immediately as provided in the section captioned "Additional Information and Assistance" below. No method of safeguarding information is completely secure. While we use measures designed to protect personal data, we cannot guarantee that our safeguards will be effective or sufficient. In addition, you should be aware that Internet data transmission is not always secure, and we cannot warrant that information you transmit to us through the Internet is or will be secure. We retain personal data for as long as is necessary to fulfil the purpose for which it was collected, as well as to the extent we deem necessary to carry out the processing activities described above, including compliance with applicable laws, regulations, rules and requests of relevant law enforcement and/or other governmental agencies, and to the extent we reasonably deem necessary to protect our and our partners’ rights, property, or safety, and the rights, property, and safety of our users and other third parties. For details on the retention periods applicable to specific elements of your personal data, please contact us as provided in the section captioned "Additional Information and Assistance" below. You have a variety of legal rights regarding the collection and processing of personal data. You may exercise these rights, to the extent they apply to you, by contacting us as provided in the section captioned "Additional Information and Assistance" below, or by following the instructions provided in this Privacy Notice or in communications we send to you. Please be prepared to provide reasonable information to identify yourself and authenticate your requests. For additional information, please see "Your California Privacy Rights" and "Your European Union Privacy Rights," if applicable, for more information about certain legal rights. Accessing, Modifying, Rectifying, and Correcting Collected Personal Data. We strive to maintain the accuracy of any personal data collected from you, and will use commercially reasonable efforts to respond promptly to update our database when you tell us the information in our database is not accurate. However, we must rely upon you to ensure that the information you provide to us is complete, accurate, and up-to-date, and to inform us of any changes. Please review all of your information carefully before submitting it to us, and please notify us as soon as possible of any updates or corrections. In accordance with applicable law, you may obtain from us certain personal data that we process about you. If you wish to access, review, or make any changes to personal data you have provided to us through our website or related services, you may do so at any time by contacting us as provided below. Please note, however, that we reserve the right to deny access as permitted or required by applicable law. in certain circumstances, the right to erasure, which means that you can request deletion or removal of certain personal data we process about you. Communications Opt-Out. You may opt out of receiving marketing or other communications from us at any time through a given communications channel (such as email or telephone) by following the opt-out link or other unsubscribe instructions provided in any email message received and/or by contacting us as provided in section captioned "Additional Information and Assistance" below. Other Important Information About Personal Data. Collection of Personal Data from Children. Children under 16 years of age are not permitted to use the website, and we do not knowingly collect information from children under the age of 16. Third-Party Websites and Services. As a convenience, we may reference or provide links to third-party websites and services, including those of unaffiliated third parties, our affiliates, service providers, and third parties with which we do business. When you access these third-party services, you leave our website, and we are not responsible for, and do not control, the content, security, or privacy practices employed by any third-party websites and services. You access these third-party services at your own risk and this Privacy Notice does not apply to any third-party services; please refer to the privacy notices or policies for such third-party services for information about how they collect, use, and process personal data. Business Transfer. We may, in the future, sell or otherwise transfer some or all of our business, operations or assets to a third party, whether by merger, acquisition or otherwise. Personal data we obtain from or about you via the website or through services we provide to you may be disclosed to any potential or actual third-party acquirers and may be among those assets transferred. Do Not Track. We use analytics systems and providers that may process personal data about your online activities over time and across third-party websites or online services. We do not currently process or comply with any web browser's "do not track" signal or similar mechanisms. Note, however, that you may find information about how to block or reject certain tracking technologies in the internet. This Privacy Notice replaces all previous disclosures we may have provided to you about our information practices with respect to the website and any services which are otherwise available through our website. We reserve the right, at any time, to modify, alter, and/or update this Privacy Notice, and any such modifications, alterations, or updates will be effective upon our posting of the revised Privacy Notice. We will use reasonable efforts to notify you in the event material changes are made to our processing activities and/or this Privacy Notice, such as by sending you an email or posting a notice for a period of time on the website. Your continued use of the services we provide to you or which are otherwise available through our website following our posting of any revised Privacy Notice will constitute your acknowledgement of the amended Privacy Notice. If you are located in the European Economic Area, and you wish to raise a concern regarding our use of your personal data, you have the right to do so with our lead supervisory authority, the U.K. Information Commissioner's Office (the "ICO") at www.ico.org.uk, or your local supervisory authority. We would, however, appreciate the chance to deal with your concerns before you approach the ICO so please contact us in the first instance. You expressly agree that use of this web site is at your sole risk. This site is provided on an 'as is' and 'as available' basis. BFM expressly disclaims all warranties of any kind, express or implied, including without limitation any warranty of merchantability, fitness for a particular purpose or non-infringement. BFM makes no warranty that this web site will meet your requirements, or that this site will be uninterrupted, timely, secure, or error free; nor does BFM make any warranty as to the results that may be obtained from the use of this site. BFM will not be liable for any direct, consequential or incidental damages, whether foreseeable or not, which may result from the unavailability or malfunction of this site. You understand and agree that any material and/or data downloaded or otherwise obtained through the use of this web site is at your own discretion and risk and that you will be solely responsible for any damage to your computer system or loss of data that results from the download of such material and/or data. BFM shall not be responsible for any loss or damage caused, or alleged to have been caused, directly or indirectly, by the information or ideas contained, suggested or referenced in this service. No advice or information, whether oral or written, obtained by you from BFM or through this web site shall create any warranty not expressly made herein. You understand and agree that BFM does not guarantee the accuracy or completeness of any information in or provided in connection with patrickbourbon.com, mybfm.com, bourbonfinancial.com, bourbonfinancialmanagement.com, or bourbonfm.fr (or related websites). BFM is not responsible for any errors or omissions or for the results obtained from the use of such information. The information is provided with the understanding that neither BFM nor its users, while such users are participating in bourbonfm.com (or related websites) are engaged in rendering personalized investment, financial planning, accounting, legal, or other professional services or advice. BFM encourages you to seek advice from an appropriate personal finance and/or investment professional before making investment decisions. You understand and agree that none of the material presented here is intended to serve as the basis for any financial decision, nor does any of the information contained within bourbonfm.com (or related websites) constitute an offer to buy, sell, or hold any security. Such an offer is made only by prospectus, which you should read carefully before investing or sending money. BFM is not responsible for the content on the internet or web pages outside BFM sites. As a convenience to our users, we may provide links to resources which are beyond our control. We make no representations as to the quality, suitability, functionality, or legality of any sites to which we may provide links, and you hereby waive any claim you might have against BFM with respect to such sites. bourbonfm.com (or related web sites) or resulting from unauthorized access to or alteration of your transmissions or data, including but not limited to, damages for loss of profits, use, data or other intangible, even if BFM has been advised of the possibility of such damages. La totalité des éléments sources du site www.bourbonfm.com (et *autres sites similaires avec des URL differents) notament les présentations, illustrations, photographies, arborescences et mises en forme, hors les textes, sont sauf documents publics et précisions complémentaires, la propriété intellectuelle exclusive de Patrick Bourbon. En outre, les représentations, reproductions, imbrications, diffusions et rediffusions, partielles ou totales, de la base de données contenue dans ce site sont interdites en vertu des dispositions de la loi n°98-536 du 1er juillet 1998 relative à la protection juridique des bases de données. En tout état de cause, sur toute copie autorisée de tout ou partie du contenu du site, devra figurer la mention « Copyright 2013 Bourbon Financial Management, LLC (BFM) tous droits réservés ». Les marques et logos contenus dans le site www.bourbonfm.com (et *autres sites BFM) sont déposés par Bourbon Financial Management, LLC, ou éventuellement par un de ses partenaires. A ce titre, toute personne procédant à leurs représentations, reproductions, imbrications, diffusions et rediffusions encourt les sanctions prévues aux articles L. 713-2 et suivants du Code de la propriété intellectuelle. En tout état de cause, Bourbon Financial Management, LLC informe le cas échéant l'internaute de la nature publicitaire des contenus du sitewww.bourbonfm.com (et *autres). La dernière mise à jour des mentions légales date de Septembre 2013. Tous les droits qui ne sont pas expressément concédés sont réservés exclusivement par «bourbonfm.com». BFM ne fait aucune déclaration sur le caractère approprié à un usage particulier des informations contenues dans les documents et dans les éléments graphiques publiés sur ce site. De ce fait, toute garantie est exclue. BFM ne sera en aucun cas tenu responsable, quel que soit le fondement de l'action en responsabilité invoqué, des dommages et intérêts, accessoires ou incidents (ni de tout dommage qui résulte d'un arrêt d'utilisation, d'une perte de données, ou d'une perte de bénéfices...) résultant de, ou liés à l'utilisation ou au fonctionnement des informations disponibles sur ce site. Les fichiers pouvant être téléchargés sur un ordinateur le sont à un usage strictement personnel et non destinés à une utilisation commerciale, à condition que toute l’information concernant les droits d'auteur et autres droits d'exclusivité soit respectée. Investors should consider the investment objectives, risks and charges and expenses of the fund carefully before investing. Investing in mutual funds is subject to risk and potential loss of principal. There is no assurance or certainty that any investment or strategy will be successful in meeting its objectives. The prospectus contains this and other information about the funds.